Soak cashews in water for 5 minutes. Drain water from cashews and place in blender. 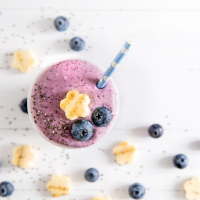 Add vanilla, frozen Wild Blueberries, and almond milk and blend until smooth and creamy. 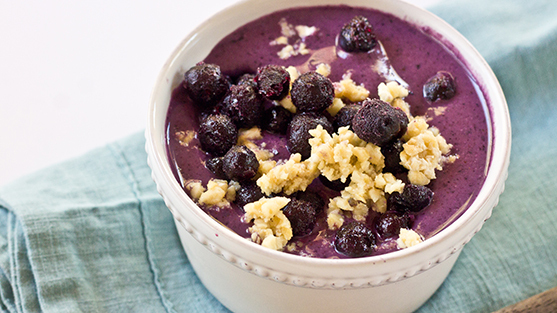 Pour into a bowl and top with additional frozen Wild Blueberries and chopped cashews. 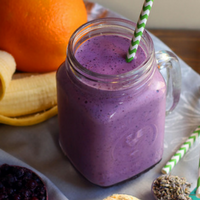 Note: To make creamy cheesecake topping— pulse a few cashews in the blender before topping smoothie bowl.